It’s time for celebration with Hari Raya Aidilfitri just around the corner! From family reunions to open houses, gift exchanges and traditions, there is simply so much excitement in the run up to the Raya festivities – not to mention all the anticipated delicacies like the assortment of kuih-muih, ketupat and rendang. Then comes the home preparations and frantic search for the perfect Raya outfit; and if you are a mommy or daddy, this means shopping for the entire family! Yes, your little one would want to look good too! This Ramadan, Tollyjoy makes planning your baby’s wardrobe a breeze with its latest Hari Raya fashion line-up! Tollyjoy’s Raya Fashion Collection presents a selection of fashionable styles under its sister brand, ‘Little Precious’, in addition to a trendy Tollyjoy knitted denim collection. Each piece has been distinctively designed with cute motifs and fun patterns that will be sure to complement your little angel’s unique personality! Besides such fashionable designs, this new range is made from soft, absorbent cotton fabric that will be gentle against your baby’s delicate skin, especially for long hours of wear over the festive period. Parents can feel at ease knowing that their little ones can be kept cool, happy and comfortable at all times. Designed with your precious little one in mind, Tollyjoy’s Raya Fashion Collection comes in various designs, and is bursting with playful colours that would easily match mommy and daddy's fashion choice for the festive season. The collection for baby girls features vibrant fashion suits with floral, butterfly and cute bow motifs; while the collection for baby boys comes with fun and animated prints such as robots, cars and animals. 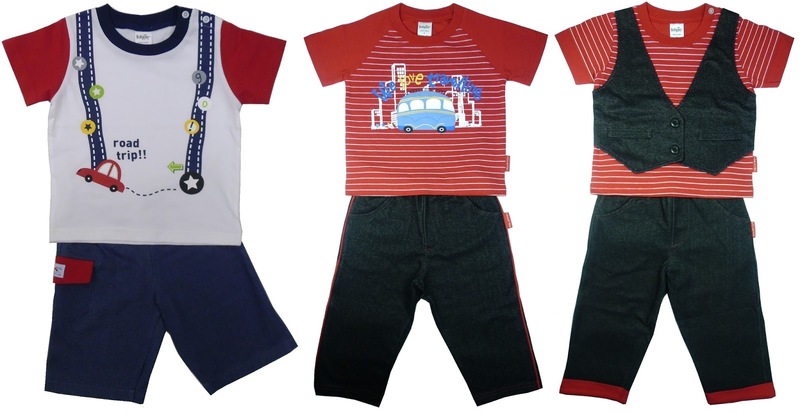 Parents will surely be spoilt for choice exploring the various options of rompers, dresses, baby suits or matching two-piece sets – made for the comfort of the baby you love. Tollyjoy’s Raya Fashion Collection comes in various sizes – from small to large – for both baby boys and baby girls of up to 24 months. Priced from RM24.90 per set, Tollyjoy’s baby wear range is available at Aeon and Aeon Big nationwide, selected Tesco outlets, selected locations at The Store and Pacific outlets under The Store Group, at Billion Supermarkets and at various other locations around the country. 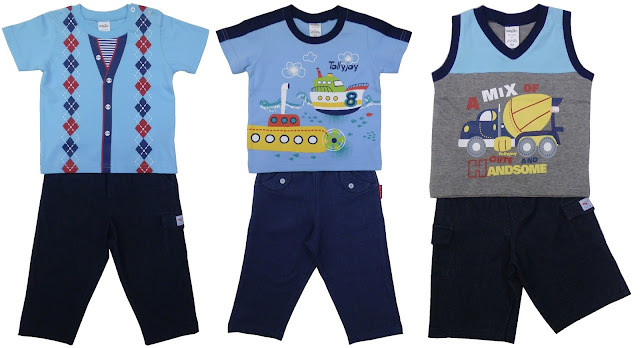 Shopping for your little one just got a lot more exciting! Why not make this Hari Raya a special celebration for your baby with Tollyjoy’s latest Raya Fashion Collection! For more information on Tollyjoy, please log onto www.tollyjoy.com.sg.